Following the submission of the audit committee’s second interim report, President Buhari has directed the EFCC to investigate the roles of the officers and the following companies and their directors in fundamental breaches associated with the procurements by the Office of the National Security Adviser (ONSA) and the Nigerian Air Force (NAF). The breaches identified by the Audit Committee include non-specification of procurement costs, absence of contract agreements, award of contracts beyond authorised thresholds, transfer of public funds for unidentified purposes and general non-adherence to provisions of the Public Procurement Act. Furthermore, the procurement processes were arbitrarily carried out and generally characterized by irregularities and fraud. In many cases, the procured items failed to meet the purposes they were procured for, especially the counter insurgency efforts in the North East. A major procurement activity undertaken by ONSA for NAF was that concerning the contracts awarded to Societe D’ Equipment Internationaux (SEI) Nig Ltd. Between January 2014 and February 2015, NAF awarded 10 contracts totalling Nine Hundred and Thirty Million, Five Hundred Thousand, Six Hundred and Ninety US Dollars ($930,500,690.00) to SEI Nig Ltd. Letters of award and End User Certificates for all the contracts issued by NAF and ONSA respectively did not reflect the contract sums. Rather, these were only found in the vendor’s invoices, all dated 19 March 2015. Additionally, some of the award letters contained misleading delivery dates suggesting fraudulent intent in the award process. The observed discrepancies are in clear contravention of extant procurement regulations. The SEI contracts included procurement of two used Mi-24V Helicopters instead of the recommended Mi-35M series at the cost of One Hundred and Thirty Six Million, Nine Hundred and Forty Four Thousand US Dollars ($136,944,000.00). However, it was confirmed that the helicopters were excessively priced and not operationally air worthy at the time of delivery. A brand new unit of such helicopters goes for about Thirty Million US Dollars ($30m). Furthermore, the helicopters were delivered without rotor blades and upgrade accessories. Additionally, the helicopters were undergoing upgrade while being deployed for operation in the North East without proper documentation. It was further established that as at date, only one of the helicopters is in service while the other crashed and claimed the lives of two NAF personnel. The Committee established that ONSA also funded the procurement of 4 used Alpha-Jets for the NAF at the cost of Seven Million, One Hundred and Eighty Thousand US Dollars ($7,180,000.00). However, it was confirmed that only 2 of the Alpha-Jet aircraft were ferried to Nigeria after cannibalization of engines from NAF fleet. 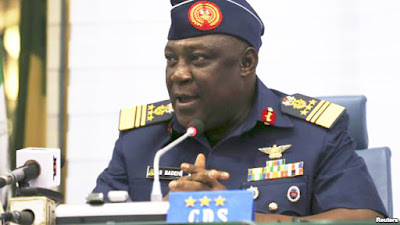 This is contrary to the written assertion of the former Chief of Air Staff, Air Marshal AN Amosu to the former NSA that all the 4 procured Alpha-Jets aircraft were delivered to the NAF. The non-militarisation of the Alpha-Jets made them unsuitable for deployment to the North East and they are currently deployed only for training at NAF Kainji. Furthermore, the procurement of the Alpha-Jets was contrary to the recommendation of the assessment team. The Committee found that the conduct of Air Marshal Amosu was deliberately misleading and unpatriotic. The contract for the procurement of 36D6 Low Level Air Defence Radar for the NAF was awarded to GAT Techno Dynamics Ltd in April 2014 at the cost of Thirty Three Million US Dollars ($33m) and was funded by ONSA. The Committee established that the radars were excessively priced as a complete set of such radars (comprising 6 radars including the Control Centre) goes for Six Million US Dollars ($6m) averagely. The Committee observed that the radars were delivered without the vital component of Identification Friend or Foe (IFF) that distinguishes between own and adversary aircraft, which has significantly degraded the operational capabilities of the NAF in the North East. It was further observed that the sum of Three Million, Three Hundred Thousand US Dollars ($3.3m) was fraudulently included in the contract agreement as VAT and With Holding Tax and subsequently paid into the bank accounts of Spacewebs Interservices Ltd and Delfina Oil and Gas Ltd. The Committee further established that Two Million US Dollars ($2m) from the proceeds was transferred to Mono Marine Corporation Nig Ltd, which is jointly owned by principal characters in this deal. The Committee opined that the infractions of extant regulations by these companies were clearly intended to defraud. It was established that between September 2009 and May 2015, the NAF expended about Fifteen Billion Naira (N15bn) on the maintenance of its Alpha-Jets, C-130H aircraft and Mi-24V/35P helicopters. Out of this amount, Four Billion, Four Hundred and Two Million, Six Hundred and Eighty Seven Thousand, Five Hundred and Sixty Nine Naira, Forty One Kobo (N4,402,687,569.41) was paid out for contracts not executed. It was also observed that in carrying out these maintenance activities, contracts worth over Two Billion, Five Hundred Million Naira (N2.5bn) were awarded to Syrius Technologies, a Ukrainian company that was not registered in Nigeria. Regrettably, in spite of these expenditures, the status of NAF fleet remained operationally appalling as only 3 Alpha-Jets, 2 C-130H and one each of Mi-24V and Mi-35P were serviceable as at 28 May 15. In October 2013, NAF awarded contracts to DICON for the supply of weapons and ammunition at the cost of Five Hundred and Ninety Nine Million, One Hundred and Eighteen Thousand Naira (N599,118,000.00). However, only 2 of the 7 items contracted were delivered to NAF while the outstanding 5 items remained undelivered despite repeated requests to DICON. The Committee also found that the delivered ammunition were about 40 years old, thereby casting doubts on their shelf life. The failure of DICON to fully execute the contract and the delivery of aged ammunition diminished the capacity of the NAF in North East operation. The Committe uncovered insider dealings by military officers in procurement activities undertaken by ONSA and the NAF. The officers were found to have misused or abused their offices for personal gains by influencing award of contracts to private companies in which they have substantial interests. For instance, an officer serving in the ONSA used his office to secure 2 contracts for his company, Geonel Integrated Services Ltd, for the protection of 20 Dams and Presidential Air Fleet security at the cost of Six Billion, Two Hundred and Fifty Million Naira (N6,250,000,000.00) and Five Million US Dollars ($5m) respectively. Furthermore, some NAF officers used their companies to collect VAT and With Holding Tax that were never remitted to FIRS while another officer was found to have cross transferred about Five Hundred Million Naira (N500m) between a NAF company, Aeronautical Engineering and Technical Services Limited, SkyExperts Nig Ltd and Huzee Nig Ltd, companies in which he had personal interests. It would be recalled that in its First Interim Report, the Committee on Audit of Defence Equipment established that the sum of Six Hundred and Forty Three Billion Naira (N643bn) and Two Billion, One Hundred Million US Dollars ($2.1bn) interventions were received for defence procurements by DHQ and the Services between 2007 and 2015. In continuation of its assignment, the Committee has so far established that the nation spent about Twenty Nine Billion Naira (N29bn) and Two Billion US Dollars ($2bn) on NAF procurement activities alone.